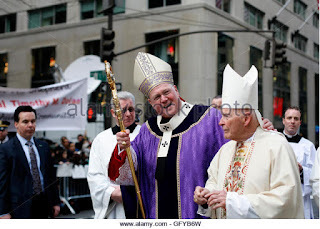 Cardinal McCarrick: One of the Cardinals that Will "Depose" Francis? Read the Account on an Empty Stomach. This Occurred Under "St." John Paul "the Great". When will the Novus Ordo Sect be Thrown Out Of the Hallowed Halls of the Institutional Organization of the Catholic Church? "Fraud" is Written All Over It. Thank you, Randy Engel for the Following Enlightening Article. 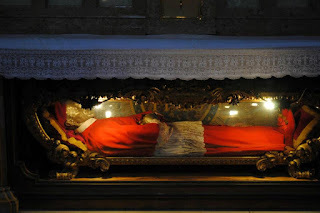 St. Robert Bellarmine Waits for the Remnant to Renounce Writer Who Wrote that Cardinals can Depose and Remove a Pope. I don't think that it is mere coincidence that St. Robert Bellermine's Feast Day is May 13th! The Papacy Itself Does Not Need a Doctor. Sorry Chris and John J.D. So we should be able to look to the Pope to find the Catholic Faith....whoa......crazy man! It's Romanitas! Duh! Michael Matt Just Needs to Settle Down. Where did you Expect the last two Superior Generals of the SSPX (1982-2018) to be sent? Zimbabwe? In 2009 Interview, Fr. Florian Abrahamowicz Singles out New SSPX Superior as Priest who was "Vehemently Opposed" to Deal with the Conciliar Church. Rejected Idea of Converting Modernists "From Within." 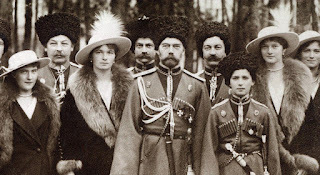 100th Anniversary of the Murder of the Russian Imperial Family. The Life, the Murder, and the Reasons for the Murder. See Russians Commemorating the Terrible Event. Mama Mia! Mike it's "RAD TRAD THOMIST" Hear Michael Matt Attack RadTrad Thomist and set up a Straw Man Argument in Order to Hide the Fact that the Remnant has sent Authors emails saying that Anyone who Writes for Louie Verrecchio Is BANNED from Writing in the Remnant. 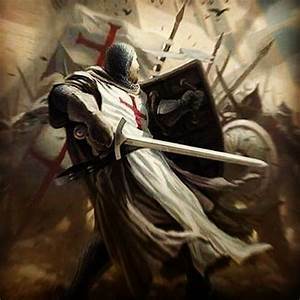 The Remnant has sent emails to many who were scheduled to write articles for Louie Verrecchio's Catholic Inquisitor that if they did they could no longer write for the Remnant (Names could be provided but will not be since there were many who succumbed to the threat0. Cornelia Ferreira has written for the Catholic Inquisitor. Therefore, Cornelia Ferreira cannot write for the Remnant. Let us struggle to break this tired monopoly on traditional Catholic thought! 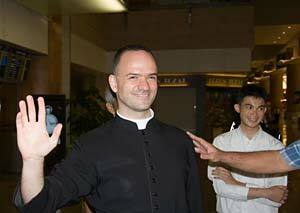 Pagliarani Elected SSPX Superior. Told you. Win for "Center-Right" loss for "Left". Update: Today, July 11th, 2018 is Probably the Most Critical Day of the Sister Lucy Truth Investigation. 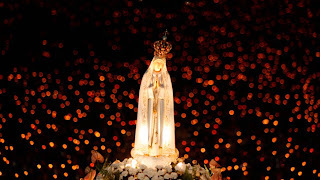 Please Pray to Our Lady of the Rosary for the Truth to Emerge. Wherever that Truth Lies. I am sorry to have to keep "the cards close to the vest," but it is necessary for professional reasons. What is being done today has never been done before in this case. Please be patient and continue your support. Clerical Rumors: Fr. 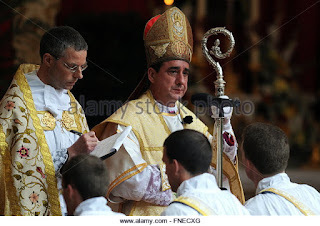 David Pagliarani Superior General Front-Runner as SSPX Starts General Chapter. Front-Runner Fr. 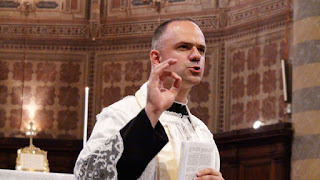 Pagliarani Seen as "Center-Right"
According to my clerical sources, the election of the Superior General of the SSPX is the first order of business for the General Chapter. If that is the case, we might be getting word as to the next Superior General in the next few days since the once every 12 year General Chapter begins tomorrow, July 11th. After speaking with SSPX/Resistance sources today, there seems to be no chance that an election of a new superior general will bring about a reunification of SSPX and SSPX/Resistance. Also, our clerical sources have pointed out that if Rome should offer the SSPX a Personal Prelature, Bishop Bernard Fellay could be back in the leadership position as Personal Prelate of the new organization. Support Sister Lucy Truth Investigation through Amazon Smile! We Very Much Need Your Continued Financial Support. Use your Amazon purchases to help our critical investigation into the truth about the life and identity of Sister Lucy of Fatima. Use Amazon Smile and indicate that you would like part of your purchase money to go to Sister Lucy Truth Incorporated. I thank one of the readers of this blog for signing Sister Lucy Truth up for this. You can use the amazonsmile icon on the side bar for this purpose also. Another Issue of Cornelia's Fatima Newsletter: The Angel of Portugal Speaks! 1916. The second Apparition [of the Angel] must have been at the height of summer, when the heat of the day was so intense that we had to take the sheep home before noon and only let them out again in the early evening. One day, we were playing on the stone slabs of the well down at the bottom of the garden belonging to my parents, which we called the Arneiro. 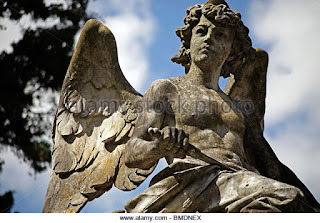 Suddenly, we saw beside us the same figure, or rather Angel, as it seemed to me. “What are you doing?” he asked. “Pray, pray very much! The most holy Hearts of Jesus and Mary have designs of mercy on you. Offer prayers and sacrifices constantly to the Most High.” “How are we to make sacrifices?” I asked. Dr. Chojnowski on TradCat Knight Call-In Show Tomorrow 8:45PM - 10PM Eastern Time. Call in With Your Questions and Find Out the Latest. Death Spiral of the Fatima Center? Financial Crisis, Job Cut Backs, Hours Trimmed. Revival Sought with Neo-Con Youth Conference. So Many Good People Gone. Another NewChurch Triumph. We have received information that the Fatima Center, Port Erie, Ontario is suffering from a financial crisis. This has caused it to cut back on jobs, trim workers hours, and has had high ranking members of the organization leave or be fired. If we look on the advertisement for this years conference in Dallas, it shows a Remnant take over of the organization. Moreover, those faithful who attend and have grave doubts about the validity of Novus Ordo ordinations would be left out. I have received absolutely ZERO help from any one in the Fatima Center for my Sister Lucy Truth organization and effort. How long will they continue to speak about "the Fourth Secret," while totally ignoring the possibility that Sister Lucy herself was eliminated and a substitute put in her place. Why trust ANYTHING coming out of the Vatican. How naive can we be?